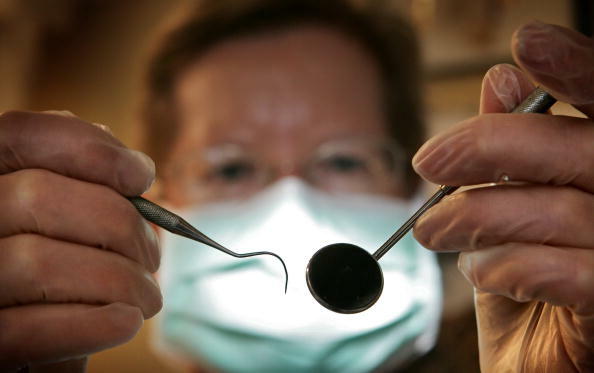 How much does a dentist make? Without dentists who would be responsible for treating our tooth and gum problems. If you're into Oral health problems perhaps you're considering dentistry as a lifetime profession and if you're mad about it perhaps you might be wondering how much does a dentist make? Making the salary list as our reference, a dentist can have an average salary of $800- $40K per month. If you're planning to earn a lot of money, dentistry is one of those professions who can guarantee you to earn huge pile of money. You may have a difficulty at first because Dentistry is an eight year course to take but hey its worth the while having a $130K + income annually, what do you think? According to the National Salary data which was updated last June 22, 2010, a dentist can gain a starting salary ranging from $93,183 – $147,077 within a year, having a bonus that range from $1,941 – $19,606 per year that consists of a total net pay of $97,053 – $155,343 in a year. In the United States there were five popular industries that can be our basis for the accumulation of a dentist's salary range. First on the list is a Family Dentistry that has the salary range amounting to $88,997- $147,516, then those dentists who worked in the healthcare they accumulate money starting from $87,234-$146,155, those who worked in Dental Prosthetic Services who got $ 94, 878-$156,149, dentist who worked in the Health clinic can have $89,650-$146,134 and those who were in the medical office who got $89,023 up to $145,536. Wait there's more to that because some certified practicing dentist comes up to $ 410,000 a year but this varies depending on the specialization of choice and the compensation commission that they can get. Moreover, the average amount net pay of a dentist can exceed from $800- $960,000 depending on the field of practice and specialization of their choice. The top two major degree in Dentistry according to the Payscale were from the Doctor of Dental Surgery (DDS), usually their salary range amounts to $96,197 – $148,582 and the other one is the Dentiriae Medicinae Doctor (DMD) that has the salary range of $99,341 – $163,708. So what are you waiting for, stop having second thoughts and launch your actions now.